April is National Autism Awareness Month, and today is World Autism Day. A recent survey finds that 1 in 50 children in America between the ages of 6 and 17 is on the autism spectrum — which is an alarming and unusually high increase from previous years. Now, we may have some more clues as to what is causing the dramatic increases. The Mount Sinai Children’s Environmental Health Center (CEHC) has released an informative list of the top ten toxic chemicals suspected to cause autism and learning disabilities. The toxic list, published in Environmental Health Perspectives was compiled by Dr. Philip J. Landrigan, director of the CEHC, Dr. Linda Birnbaum, director of the National Institute for Environmental Health Sciences (NIEHS), and Dr. Luca Lambertini, also of the CEHC. Discover the top ten chemicals thought to be associated with both autism and learning disorders in children after the jump. This isn’t the first report to point out that environmental toxins may be to blame for autism. In The Autism Puzzle, journalist Brita Belli also looks at the environmental toxins linked to the autism debate. Other research has linked smoking during pregnancy to Asperger’s disorder and other forms of high-functioning autism, while still other research shows a connection between prenatal chemical exposure and autism. While currently there’s not a supported concrete cause of autism, plenty of other research has also discussed the possible and growing link between autism and chemicals. For example, the Autism Society notes that factors beyond genetic component may be contributing to the rise in increasing occurrences of autism, including environmental toxins such as heavy metals like mercury, as they’re now more prevalent in our current environment than in the past. According to the new report this top ten list, “Is not exhaustive and will almost certainly expand in the years ahead as new science emerges.” The main point of the new list is to help focus research regarding environmental causes of autism and learning disabilities which in turn may help support new evidence-based programs for prevention of disease in America’s children. I think it's a list bigger than we know....yet they still won't acknowledge immunizations? ?My second son was typical in every way until after his second round of mega immunzations!My 2 sons are 13 yrs apart,our first born never had the mega doses of immunizations that they did on my second!Just wish they'd acknowledge it all,instead of just some. Food for thought: Chemist's in the mid to late 1800's like Joseph Lister were using and experimenting with chemicals derived from coal tar during the gaslight age like carbolic acid (aka phenol), naphthalene, anthracene, aniliene, and benzene. They used coal tar to preservative for railroad ties, making turpentine, and even a man by the name of Charles Macintosh figured out how to use coal-tar derivatives to make waterproof fabrics. The word "macintosh" later became a synonym for a raincoat in Britain. Then William Henry Perkin used coal-tar chemicals to create the first synthetic purple dye. Paul Ehrlich then used synthetic dyes to stain cellular structures to see them better under a microscope. With his experimentation using dyes he created a group of promising new chemicals to treat disease called arsenicals which contained arsenic. Using this same science he later formulated Salvarsan, the first cure for syphilis in 1910. Later Wilhelm Roehl, working for the German company Bayer (yes, Aspirin Bayer) pioneered the idea of separating medicine from the dye color and asked chemists to make him a colorless dye. They came up with a derivative of urea which when tested cured sleeping sickness which opened up huge tracts Sub-Saharan Africa to European colonial ambitions. My point is this: we are focusing on a lot of chemicals in modern use. For close to 200 years prior we were using more potent and powerful chemicals that may have already irreparably changed human DNA and development. Most people would look at coal tar now and shudder thinking about the toxic chemicals inside it. To them it was a source of medicine. Vaccines?! ..or is someone conveniently choosing to overlook those?! 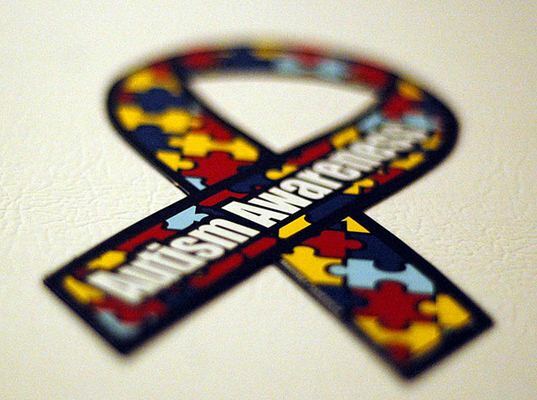 April is National Autism Awareness Month, and today is World Autism Day. A recent survey finds that 1 in 50 children in America between the ages of 6 and 17 is on the autism spectrum -- which is an alarming and unusually high increase from previous years. Now, we may have some more clues as to what is causing the dramatic increases. The Mount Sinai Children's Environmental Health Center (CEHC) has released an informative list of the top ten toxic chemicals suspected to cause autism and learning disabilities. The toxic list, published in Environmental Health Perspectives was compiled by Dr. Philip J. Landrigan, director of the CEHC, Dr. Linda Birnbaum, director of the National Institute for Environmental Health Sciences (NIEHS), and Dr. Luca Lambertini, also of the CEHC. Discover the top ten chemicals thought to be associated with both autism and learning disorders in children after the jump.